According to KPMG, the Thames Valley that runs through London’s surrounding counties hosts the biggest collection of tech clusters in the UK, if not Europe. However, the area is one that often does not get pushed forward into the limelight. Despite hosting 11 of the top 15 worldwide software companies’ European headquarters, Thames Valley is far behind areas like London itself and Cambridge when it comes to attracting attention from the media for its startup activities. Perhaps the perception that it is a region of established international businesses subsidiaries could be part of the reason. But that perception is wrong. Following an idea sparked at a technology conference six months ago, ConnectTVT was launched at Green Park in Reading (a large town 36 miles west of London in the county of Berkshire) earlier this month. A combination of online site, networking hub and gateway to support partnerships, it is intended to promote the broader technology scene that is evolving across the Thames Valley, encompassing not only major tech businesses but a thriving startup scene too. One of its goals is to bring together those startup organisations with business and tech communities across the region, and make it easier for them to launch and grow. Adam Clark, co-founder at ConnectTVT, characterised the organisation as pulling together a lot of disparate strands that have been there before, but were not previously cohesive. “ConnectTVT aims to mirror the success of [UK government-backed London tech hub] TechCity, but more importantly we want to help those awesome tech companies that are out there and that people haven’t heard of,” he said. Part of this is about driving awareness of the companies that are active in the region to those outside it, but it’s also about connecting them with resources and people. The meeting space for the event was offered as one example of resources that were ready to be used, if only companies knew they existed. At the same time, the big technology companies (Microsoft, Oracle, Vodafone and many others all have big presences in the area) help develop the startup scene too. "One thing that has been clear from the conversations that we've had with startup companies is that connections matter,” said Clark. For the start-ups at the event, ConnectTVT looks to be filling a gap that will help them in the future as well. Tim Brownstone, CEO and founder at wearable tech company KYMIRA, said that the event had already proved useful to him in terms of new contacts and offers of expertise. James Hakesley, co-founder and COO at video-sharing company nideo, agreed. Having founded the company and run it in London, he decided to move it out to Maidenhead, another Berkshire town that is not far from the famous Royal Family residence of Windsor. “We used to be based in London, but decided to move out here as there were more people in the Thames Valley that we could work with. We work on a regular basis with the likes of Microsoft, so being local is an advantage,” he explained. “This event today attracted the right kind of people and there was a good understanding of how our innovation can add value. We had several conversations with like-minded organisations, which reinforced that demand is there for our service. Overall, the event has been very useful to us,” said Hakesley. 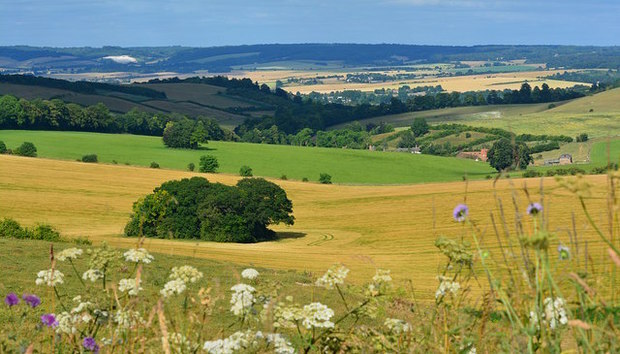 ConnectTVT has already attracted support from NatWest, Oxford Properties and KMPG, as well as securing backing from Thames Valley Berkshire Local Enterprise Partnership. It's going to be interesting to see how the voice for the Thames Valley will continue to develop and how this true valley stacks up against London, and the many other pretenders, to create a new Silicon Valley all over the world. Mark Kember is Head of Content at digital marketing and communications agency onebite. He has spent more than 10 years in and around enterprise software.